Keen observers of Armenia’s media are likely to remember two dates from 2015: 23 June and 6 December. 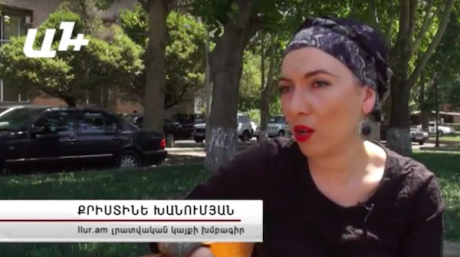 In the heat of the Armenian summer, journalists were harassed outside the presidential palace as riot police violently dispersed people protesting against electricity price rises, in what became known as Electric Yerevan. Five months later, selective coverage of the elite-sponsored constitutional referendum revealed the effects of murkey media ownership all too clearly. Despite the growing influence of online media, television, which is under the control of the government, remains the main source of information for most people in Armenia. In the relatively uncontrolled online space, news reports can sometimes lead to attacks by different government agencies, and journalists have to spend months protecting their sources. At the same time, online platforms have poor prospects for finding financing (often through advertising), while the ownership of large TV companies remains both political and opaque. Here’s a look back on the key developments for Armenia’s media in 2015. In the autumn of 2015, Armenia’s Constitutional Court was obliged to affirm the right of media outlets to protect the identity of their sources. The reason was a case that has passed through Armenia’s judicial levels since 2014 in which police investigator Garik Begoyan petitioned the courts to force the Hraparak newspaper and iLur.am news portal, which lean towards the opposition, to disclose confidential sources. In May 2014, Hraparak and iLur.am published a story on an altercation between the police chief of the northern Shirak region and athlete brothers Artur and Rafael Aleksanyan. According to these outlets, Vardan Nadaryan struck Rafael on the head with his pistol and then held the weapon against Artur’s chest. The police investigator examining the criminal case into the actions of the police launched and later won another case against these media outlets at all three levels of Armenia’s courts. The courts ruled that the journalists had to disclose their sources in this ordinary criminal case. Armenian legislation ensures the protection of sources. Only in extreme cases, when the situation concerns a grave crime or supreme public interest, can the court demand a journalist to reveal a source. The altercation between the police officer and the athletes was not such a case. As attorney Ara Ghazaryan says: “In such ordinary cases, there should be an attempt to uncover the crime through regular investigative means, not through the media outlet’s source. Armenian journalist Kristine Khanumyan faced a court case over her refusal to reveal sources. In an interview with A1+, Khanumyan noted that she had survived the Karabakh war and would not be easily intimidated. Image still via YouTube.Police pressure on these journalists went so far that the prosecution launched criminal proceedings against iLur.am editor Kristine Khanumian for not disclosing her source in this story. In July 2015, OSCE Representative on Freedom of the Media Dunja Mijatović intervened and issued a statement noting that the obligation to disclose the identity of sources might have horrifying consequences for free media — the protection of sources proceeds from public interest. As a result, Armenia’s General Prosecutor dismissed the criminal case against the journalist. Yet Khanumian later stated that she was ready to go to prison for failure to comply with the court order, but she would not disclose her source. “My imprisonment would set the best precedent for silencing free speech, after which at least half of the media outlets would practice self-censorship. That is, many journalists, seeing our example, would be afraid of writing freely,” she said. Censorship is officially banned in Armenia, but journalists generally know the political orientation of the news outlet where they work, who the owner of their media outlet is and on what topic they can and cannot write about. Self-censorship, recognising the limits of their freedom, is generally one of the defining aspects of Armenian and especially broadcast media. Findings from the Yerevan Press Club’s 2013 research study State of the Media Industry in Armenia reveal that the absolute majority of media experts and anonymous journalist respondents believe that many media outlets are forced to choose the path of self-censorship as a result of pressure from the authorities. For example, broadcast media work in unique harmony when talking about the country’s president Serzh Sargsyan. Ahead of Armenia’s constitutional referendum on 6 December 2015, Sargsyan gave an interview on the draft Constitution to eight TV stations. The new constitution, which was passed with 60 percent of the vote, strengthened the role of the prime minister and made the post of president into a largely ceremonial role. It is likely to result in the continued influence of Sargsyan. 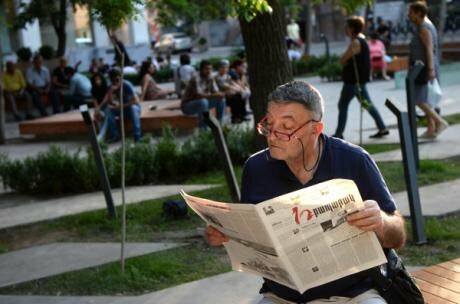 A man reads the Armenian-language Hraparak newspaper during protests on Baghramyan Avenue in Yerevan, 2015. Photo (c): Kirill Kallinikov / visual RIAN. All rights reserved.The TV stations broadcast neither a video nor even a short segment of the interview until the transcript of the interview appeared on the president’s official website, the following day. What Sargsyan said to the journalists during the interview wasn’t even verbally conveyed. No one rushed to inform their viewers on what the Armenian president finally said on this issue, which has suffered from a lack of real public debate. Likewise, online and print media journalists were not invited to the interview with Sargsyan: they had to be satisfied with the interview transcript. The problem of broadcast TV stations is a separate topic for Armenia’s media sector. Armenian law prohibits political parties from being owners of TV stations, but at least four TV stations in Armenia de facto belong or actively defend the interests of a political party. Take Yerkir Media TV, which is broadcast nationwide and has a fairly strong news and analysis team. This station is closely associated and linked to the Armenian Revolutionary Federation (ARF), a small nationalist party with socialist views. Some of Yerkir’s managers are members of ARF. And though the party doesn’t finance the TV station, Yerkir always defends the ARF’s stance. For example, during the campaign for the December 2015 referendum on constitutional amendments, Yerkir Media’s political programs completely followed ARF’s views and positioned themselves in favour of adopting the proposed amendments. Kentron TV, which is watched all over Armenia (its daily political interview, broadcast in the evening, is particularly well-known), belongs to major businessman Gagik Tsarukyan’s daughter's father-in-law Murad Goloyan. Tsarukyan was the leader of the Prosperous Armenia Party until February 2015. Tsarukyan himself is an MP, and the Prosperous Armenia party has 33 MPs in parliament. Another party in parliament, the Rule of Law party (a small centrist faction and former member of the ruling coalition), is known for H3 TV being under its tutelage. In spring 2014, it was purchased by a Russian-Armenian company, one of the shareholders of which is Artur Baghdasaryan, party chairman. H3 broadcasts in Yerevan: it currently doesn’t have any influential news or analytical programs. 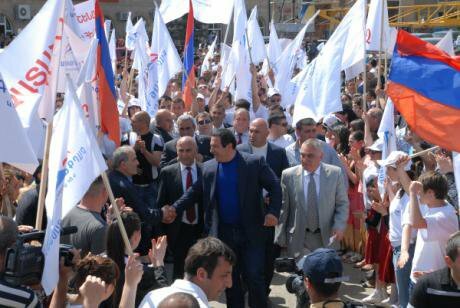 Businessman and politician Gagik Tsarukyan, is linked to the popular Kentron TV channel. Yerevan, 2012. Photo (c): Mkhitar Khachatryan / visual RIAN. All rights reserved.Finally, Ararat TV is directly associated with the ruling Republican Party of Armenia (HHK). This TV station occupies the basement of the HHK office, and focuses more on showing documentary films. It has only a small audience for news broadcasts. The story of broadcast TV stations’ ties to various political forces doesn’t end here. The largest media conglomerate in Armenia is PanArmenian Media Group, which includes Armenia TV, ATV, ArmNews TV, Radio Jan, Lav Radio, the weekly TV Mol and the news portals Tert.am and Blognews.am. The consolidation of these companies is associated with the president’s son-in-law, Mikayel Minasyan, who is Armenia’s ambassador to the Vatican. PanArmenian’s most influential station is Armenia TV. 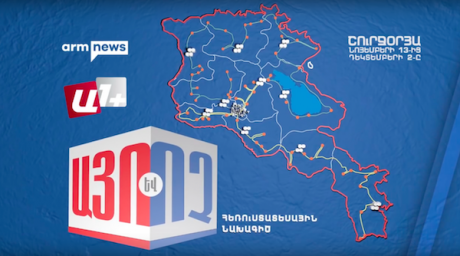 A family channel known for its soap operas, sitcoms, and entertaining programs, Armenia TV has an ambitious editorial team of news and analytical programs and depicts Sargsyan, his election campaign promises and future plans in a positive light. Armenian media has repeatedly written about Minasyan being PanArmenian Media Group’s actual owner. Opposition politicians speak about the group asMinasyan’s property. But there is no actual evidence. When writing about the influence of the president’s son-in-law on the media, Armenian news outlets usually use the expression “according to reliable information at our disposal”. They currently have no lawsuits launched against them. Yet Armenian legislation makes it impossible to determine the identity of Armenia TV’s owners. (We’re not even talking about its true owners.) Armenia TV is a closed joint-stock company and so the public cannot find out the identity of even the official owners of this type of company. What will happen to regional television? Outside Yerevan, the impact of regional TV stations in Armenia is decreasing, with the possibility of closures for several stations. In a 2016 report, Human Rights Watch expressed its concern over another important, forthcoming change in Armenia’s television sector. This year, Armenia is destined to switch to digital broadcasting. The ten TV stations that broadcast in Armenia’s provinces do not have digital broadcasting licenses. Over time, they will either have to shut down or continue to offer uncompetitive analogue broadcasting — the fees are too expensive, and will price smaller outfits out of the market. In December 2015, the Armenian parliament changed the law on television and radio broadcasting in order to address this problem, giving regional TV stations the right to continue to provide analog broadcasting. In media experts’ opinion, these amendments, however, do not solve the regional TV stations’ issues. According to Boris Navasardian, chairman of the Yerevan Press Club, the draft law does not establish realistic and affordable mechanisms for those TV stations that did not receive digital broadcasting licenses to be able to continue to operate and compete equally in the television sector. The heads of regional TV stations are of the same opinion. The closure of regional and local TV stations over time is a very realistic possibility in Armenia. It will lead to even greater strengthening of the positions of major TV stations that have nationwide coverage. The internet — that’s what’s free in Armenia. At least officially. According to Freedom House’s Freedom on the Net 2015 report, in Armenia, the internet is free. Internet access and speeds are constantly on the rise (according to official data, the internet penetration rate is 67 percent), and news sites are more free from censorship than print media. Obviously, the internet is an environment where creating your own media is easy and inexpensive. There are numerous local Armenian news websites, and they probably represent almost all the big (and small) political forces (big and small) as well as , and public groups. Creating a website, and covering the technical and ongoing costs to maintain it, is obviously far cheaper than running a TV channel. Even representatives of political groups, such as the Founding Parliament (who rarely make it on to television) have their own online resources. Moreover, the politicians and political groups that are less visible on television aren’t overlooked by the online news media. For instance, Hetq, one of Armenia’s top investigative outfits (it is published by the Investigative Journalists NGO), operates as an online news site. Hetq is known in Armenia for its numerous reports on corruption. Editor-in-chief Edik Baghdasaryan agrees that the internet is the best place for media outlets in Armenia. Hetq tries to use this freedom at its utmost. But there’s one obstacle that Baghdasaryan sees in the development of online news media: the small advertising market. “In Armenia’s case, it’s probably not possible for the editorial team to work solely online and be able to make money for itself. The country’s economy is poor, and the market is small,” says Baghdasaryan. In addition, even when it comes to the internet, Baghdasaryan is convinced that advertisers in many cases are directed from one point of control. When it comes to journalistic investigations, international grants help Hetq a lot. Otherwise, it wouldn’t be possible to have an independent media outlet in Armenia supported only by advertising. “There’s a monopoly: there are advertising agencies that work specifically with websites but don’t work with us. This is centralised from somewhere and the distribution of online advertising is in the hands of certain people,” says Baghdasaryan. In December, the recent constitutional referendum revealed further faultlines in Armenia’s media market. Presenting a report on television coverage of the December 2015 referendum on amendments to the Armenian Constitution, Boris Navasardian said that of the political groups, the opposition group New Armenia had not once appeared on Armenia TV. But this opposition political force was represented regularly on news websites. The report by the Yerevan Press Club, which monitored coverage of the constitutional referendum campaign, notes that representatives of the ruling Republican Party and proponents of the constitutional amendments were the undisputed leaders in the amount of airtime they received. During the constitutional referendum of 2015, many Armenian media outlets showed their true colours. ArmeniaNews TV presents its “Yes or No” live stream. Image still via YouTube.During the campaign period, for example, the Public TV Company of Armenia aired a new political discussion series. Hosted by Armen Ashotyan, this program discussed the constitutional amendments only twice in a single month. Ashotyan is vice chair of the Republican Party, Armenia’s Minister of Education and Science, and member of the “Yes” campaign headquarters. Unsurprisingly, the Yerevan Press Club considered this fact to be a conflict of interest. On referendum day, 6 December, there were many cases of obstruction of journalists’ work. At various polling stations and near campaign offices, journalists covering the referendum were pushed and pulled; there were cases of attacks on journalists’ cameras, and there were many cases of journalists being asked to leave the polling stations. In 2015, the referendum was the second day when local journalists were physically attacked en masse. The first was on June 23, 2015, when police officers targeted journalists in the course of brutally dispersing, with the help of water cannon vehicles, demonstrators who had blocked Baghramyan Avenue, which is home to the presidential palace and parliament building. According to data from the Yerevan-based Committee to Protect Freedom of Expression, on that day (23 June), 13 journalists and camera operators were physically attacked and the lawful professional activities of more than 20 representatives of various news outlets were hindered. To control the media, a soft(er) power is used: economic influence. But physical attacks are not the Armenian media’s main problem. 23 June and 6 December were untypical and difficult work days for journalists, which, of course, will influence Armenia’s media freedom ranking in 2016. But physical attacks are not systematically applied in Armenia as a tool for pressuring journalists. To control the media, a soft(er) power is used: economic influence. Yet the advertising industry is limited and there is not enough money to make media financially viable; without political influence, there are no financial resources; and the public is not yet ready to pay for content. The existence of genuinely strong and financially independent media outlets is a problem in Armenia, and this problem will exist as long as the country’s economy remains too weak and susceptible to political influence to support a quality media. This article was translated into English by Adrineh Der-Boghossian. We are grateful for her assistance.